Whether you command legions of staff in the largest of restaurant kitchens, or you single-handedly endeavor to coax forth sublime flavors in the tiny kitchen of your studio apartment, you know the quality of each ingredient in every dish is critical to your success. 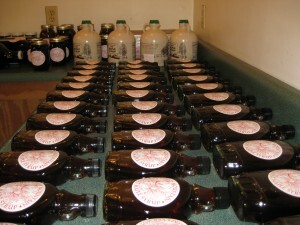 Deep Mountain maple syrup is unsurpassed; that’s the long and short of it. We make it the old–fashioned way, and we believe that makes it better. Every drop of our maple syrup is bottled on our farm. 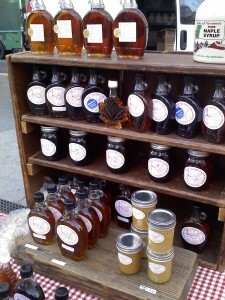 All of our maple candies and fruit syrups are carefully made in small batches in our maple kitchen. We use the best and freshest fruits and nuts available. Deep Mountain Maple is a proud partner in the effort to promote regional food economies and healthy food choices. Today’s best chefs and food purveyors recognize the wisdom in supporting regional, small-scale farming and food production. We are proud of our relationships with all of our customers, and we are especially proud that many of the chefs in New York’s finest restaurants and bakeries choose to use and serve Deep Mountain Maple syrup. We want you to know who they are and how to find them, and we want to encourage you to support them. We welcome inquiries from discerning chefs. Although most of our customers arrange to pick up orders at the Union Square Greenmarket, we can arrange deliveries in Vermont, and to parts of Manhattan, Brooklyn, and Queens.